Connect a Gotek or HxC drive OUTSIDE your Atari ST case with this NEW data and power cable extender. 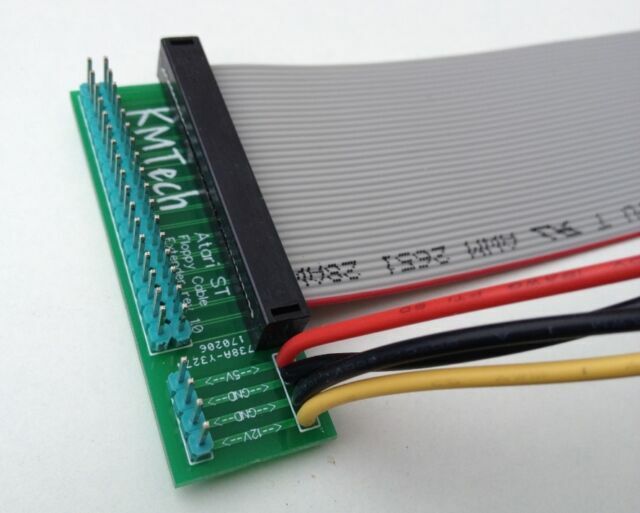 Unlike the Amiga diskette drive data cable, which can be replaced, the Atari data cable is soldered to the main board, so cannot be removed and has to be extended. USB to MSX Mouse Adapter Towns Roland Works With Optical Wireless Mouse.